The Definitive NIN - Heavy Tracks, is the fourth part of "The Definitive NIN", a previously three-part collection of Nine Inch Nails' greatest hits. It was released in 2009 via the nin:access iPhone app and the "Listen" section of nin.com. It is the only release of "The Definitive NIN" to not receive a seed number. "A compilation album featuring 23 of NIN's harder and heavier songs." 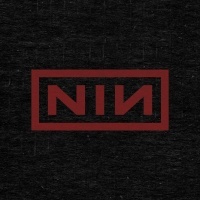 The track listing was altered when it was added to the official NIN SoundCloud account and altered again each time as it was added to Trent Reznor's official Spotify account and the official NIN Beats Music account before it was absorbed by Apple Music. Cover art was also added to the SoundCloud version. "All The Pigs, All Lined Up"
This version retained the Spotify track listing except for switching the order of "Hyperpower!" and "Happiness In Slavery". This page was last modified on 15 September 2016, at 15:25. This page has been accessed 56,623 times.